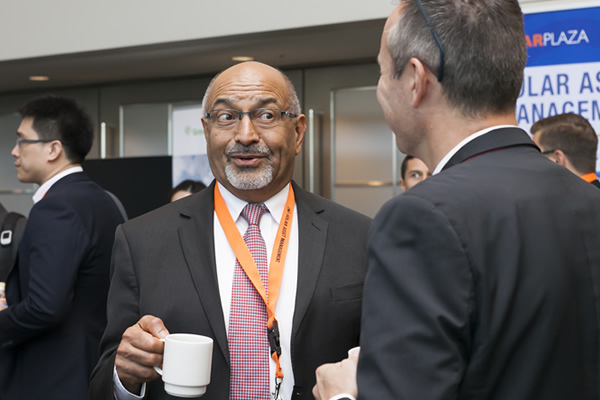 First Solar’s Vice President of PV Systems, Mahesh Morjaria, reviewed the various ways in which large utility-scale PV power plants support grid services. Morjaria started by underlining the three main services utility-scale plants provide to the grid. “When First Solar first developed utility-scale plants, we followed the 2012 NERC Report: Interconnection Requirements for Variable Generation,” explained Morjaria. One important feature is the plant control system. By measuring grid conditions, reactive power, active power at a grid point, and the transmission line voltage, the output of all the inverters can be smoothed out rapidly and the effect of cloud cover is less concerning. Through keeping the frequency and voltage within normal limits, grid stability is ultimately achieved. Justin Wu, Bloomberg New Energy Finance’s Head of Asia Pacific, explained the historical and future applications of storage. Currently, about 1.2 GW/year of storage is added compared to 100 GW/year of solar. BNEF expects battery storage global growth to be about 100 GW over the next ten years. Most of the applications are in front of the meter (utility scale) to provide short-term balance. However, an increasing amount of storage capacity will be installed behind the meter as well (residential and C&I scale). BNEF observed an annual lithium-ion battery price index drop from $1,000/kWh to $96/kWh. They project that, essentially, every time the world doubles its capacity in storage manufacturing, there is a 18% drop in battery storage prices. “Utility companies have the advantage right now because they have the only direct threat access to the customer.” In other words, the advantage for utility-owned storage is that customers currently still rely on the grid for electricity. Utility-owned storage would enable system operators to continue providing these services as a cost-effective resource. 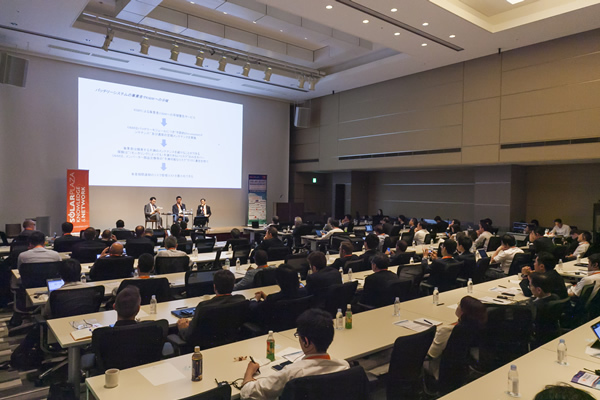 During the final session of Solar Asset Management Asia, TEPCO discussed the current and future situations of the electric grid. 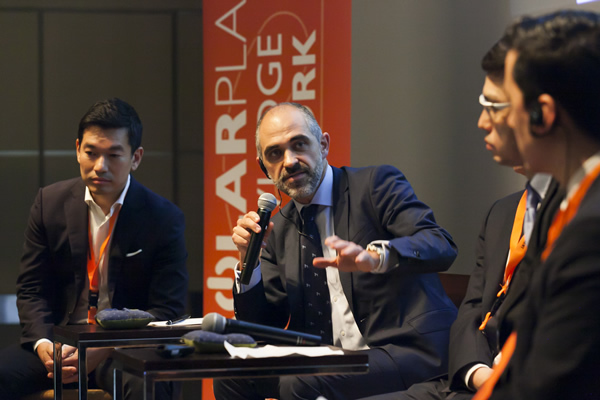 Subsequently, CO2O, Goldman Sachs, Solarig Japan, and AMP discussed the road ahead for solar in Japan, including opportunities for cost reduction, government policies, and future trends. 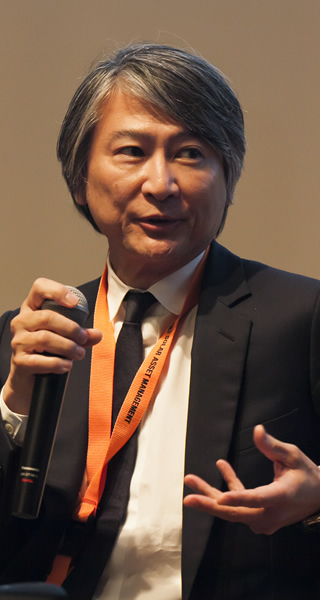 In a keynote, Naoaki Fukazu outlined the current situation of the Japanese grid and what it means for solar integration. This outline includes 3 historic iterations of the electric grid. Grid 1.0: With ten utility companies in Japan, separated geographically and vertically integrated across the grid, it was essentially a monopoly. Kasamatsu explains, “There has been a period of deregulation.” He then continues “the future utilities are to provide services instead of stationary contracts”. Grid 2.0 (present day): Through decarbonization, decentralization, and depopulation, grid transformation will coincide with the unbundling of transmission and distribution business. Grid 3.0: To provide grid services, utility companies will increasingly integrate with other platforms. These services include distributed energy resource management systems (DERMS). In the case of the 2017 auction, 500 MW of capacity was made available for bidding, which went largely undersubscribed. This shows that, at the current subsidy rate, the market is very challenging. Moreover, cost optimizations such as CAPEX. This includes reducing the gap between global EPC price (from 50% to 15-20%). With regards to OPEX, minimize costs such as maintenance activities and resource optimization. Furthermore, a clear understanding of the goal and what is to be achieved in O&M are vital. One point is to create ways to incentivize O&M providers. More importantly, how do the O&M add value and increase plant performance? Under the FIT Act Enforcement Regulation in Japan, grid operators can enforce curtailment against renewable electricity producers without compensation up to 30 days per facility per year to balance supply and demand. Regarding “unlimited curtailment” in Japan, the concern from power producers has been very limited so far. The rationale is with future grid developments, which include aforementioned technologies that will mitigate curtailment risks. Did not factor enhanced grid capacity, storage. Government policy would naturally include this. Reports say what the supply will be 8 years from now regardless of curtailment. Very difficult to predict and quantify. Therefore, the supply side is difficult to predict, which results in the 30% curtailment estimates. Almost all reports predict declining demand because of declining growth and slow economic conditions. However, a shift in using electronic appliances and introduction of EVs was not accounted for. Although energy demand may be flat, electricity demand could be increasing. To conclude, Japan’s energy infrastructure continues to implement large volumes of solar power and call for the development of batteries. With the not-so-ambitious goals set by the Ministry of Economy, Trade and Industry towards 2030, there is increasing political pressure to review these targets. 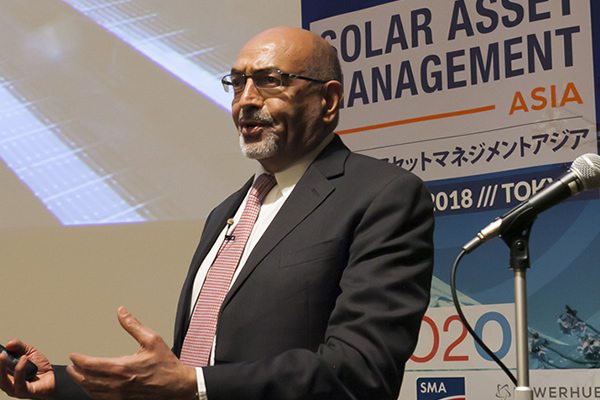 Through the innovation of new technologies and a mature market, Japan hopes its solar industry will continue to evolve and to prove once again that renewable energy targets are more often conservative than not.